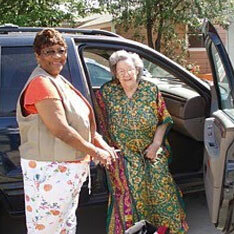 Jefferson Area Community Outreach provides basic needs to frail elderly residents in the Jefferson area. Services include transportation, mobile meals, lunch bunches, handyman, telephone reassurance, information and referral and HEB Co-op grocery delivery. Please contact them directly for more detailed program information.